This is a film with no dialogue that tells a series of interconnected stories to explain and explore four phases according to a theory by Pythagoras. There is a fuller explanation of the Pythagorean inspiration for the plot at Wikipedia, so rather than pretend I'm clever, here's the link if you need it. Basically Pythagoras claimed that he had lived four lives. Why he didn't make a similar revelation the second or third time around I'm not sure! 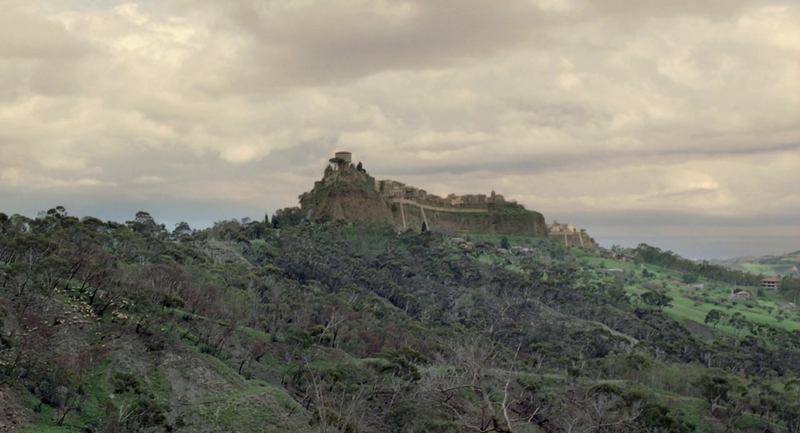 But he taught his band of followers in Calabria in South-West Italy and so that is where the film is set. This film invites reflection on a number of levels and you go as deep as you want the Rabbit Hole to take you! If you enjoy exploring metaphysics and the meaning of life, you will enjoy this. If you're looking for a good idea for your next holiday - you will enjoy this. So, what is this film about? A goatherd, a herd of goats, a remote village, religious observance, lack of modernity, community, trees, beautiful scenery, charcoal, life and death, humans and animals, the seasons, routine - yes, all of these and much much more! The pace of this 88 minute film is measured and consistent as Director Michelangelo Frammartino invites viewers to observe, reflect, analyse, consider, project and place themselves in the often bleak and austere landscape of a mountain village and its inhabitants. Scenes are repeatedly shot from the same positions in different seasons as they record different parts of this story. The rhythm of life and the practises of the villagers maintain the cadence of the narrative. I was drawn to their Good Friday observance and also why the goatherd felt that drinking a solution of dust from the church floor every night might be a good thing - and the consequence of not doing so one evening! If you want to slow down, enjoy some great cinematography and a film that generously invites you in to reflect, then this exploration of human, animal, plant and mineral life in Southern Italy is for you. Some people simply won't 'get it'. The loss is theirs. I'm going to give it 8/10.